End of a great seminar | NJNA is Blogging! Today was the last day of seminar and there were so many things I planned/wanted to do and never accomplished. I guess I had better hope we return here in the future to see the Chicago things I hoped to see. The seminar things I missed are now lost. My BEADazzled class went very well today as we applied beads in two other areas, the center section has a Bargello frame and the beads are applied by stitching the delica beads to the canvas with FyreWorks thread by Rainbow Gallery. The black band on the left side has random beads stitched on with black beading thread. Take a look. If you double click on the picture, you can enlarge it and actually SEE the beads in the left black band. Not only did I learn new techniques of applying the beads to the canvas, but I never used a beading needle! With a Bohin size 26 needle, you can go through the delica beads. Nancy told stories and passed on many tidbits that were both interesting and educational. She knows how to keep a class happy as she had cookies from Eatily for us after the afternoon break. Before the banquet tonight I took a walk down along the riverside to the east of Michigan. 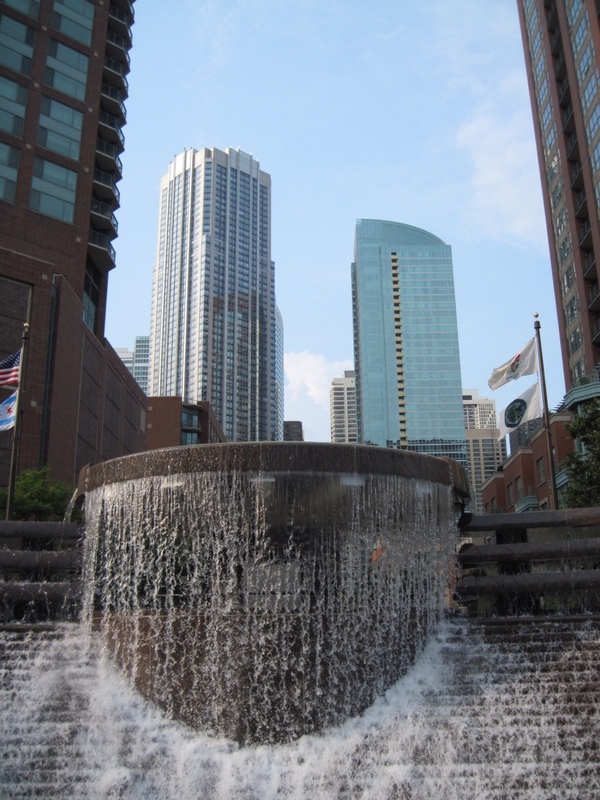 It is a beautiful walkway with eating places, landscaping and fountains to see along the way. Just west of the Lake Shore Drive underpass is a beautiful residential building that had tiny gardens in front of each unit filled with flowers and well maintained. It is nice to see such an inviting area in the middle of a big city, an oasis of calm and beauty. The best part of the final banquet was learning that the 2016 seminar is in….New Orleans, but then we heard that the 2017 seminar is in Anaheim. Both Rosie and I were shocked that we were returning to Anaheim so soon after the last seminar there in 2013. Chicago and Philadelphia it is not. Home tomorrow. What will I stitch first? Another seminar is history. Sue, When I enlarged the picture and looked at the left black band those beads did not look random at all. I love how the beads contribute to the design as well as sparkle! Great piece. They WERE random since I followed the instructions to pour the beads onto the bead mat, use the gold ones for the first row, then just line the beads up in no order and use them without designing a pattern. 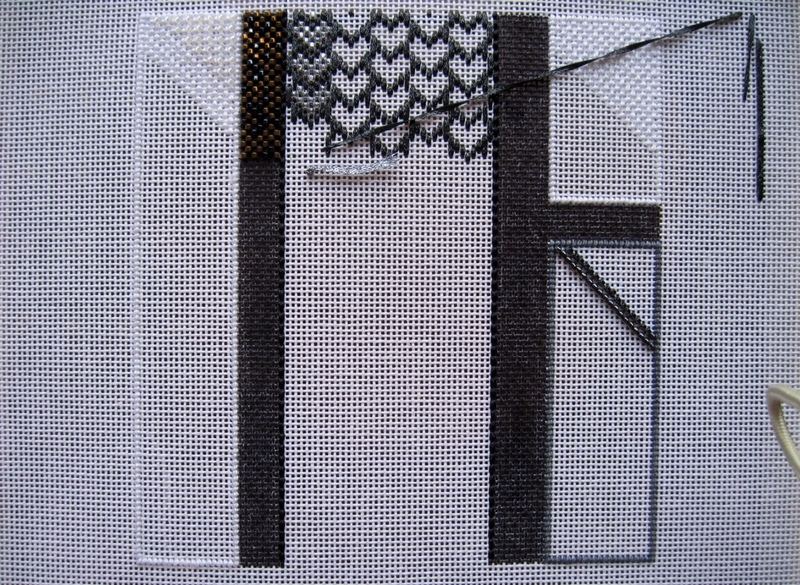 The bag had 25% grey and 75% gold for the first 26 rows which are now done. I am glad that you like it, Heidi.